The Perfect Combination for Combating Dry Skin, Cracked Heels & Feet, Chilblains and Chaps. We recommend the combination of our award winning therapy bar (detox soap) with the derma protector balm to bring your feet back to life and giving them a soft smooth appearance again. We formulated the Deep Cleanser Therapy Bar to act as a substitute for normal, chemical-based soaps that can irritate sensitive skin and trigger conditions. It is designed to deeply cleanse the skin as any other soap can, but at the same time deeply moisturise and treat it with gentle, careful care. 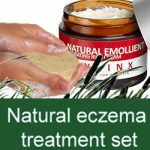 It can be used on all skin types and as a treatment for conditions such as eczema, psoriasis and cracked or hypersensitive skin. The reason most soaps can be very harmful to sensitive or damaged skin is due to its lack of glycerine. Glycerine is a natural, moisture-rich ingredient that is removed during production simply because it clogs machinery. This means that even the mildest soaps can be a danger for sensitive skin. Make a thick lather with the Deep Cleansing Therapy Bar, and rub it firmly into the affected skin. Do this for a few minutes every night until the cracking starts to heal. For best results, let the lather dry naturally – for 30 minutes at least, or overnight if possible. 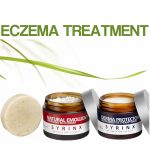 “I tried Syrinxza products after suffering from a skin complaint for over nine years. 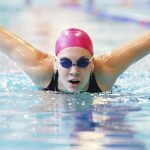 Neither GP nor dermatologist had been to diagnose or treat effectively. Over the years I tried numerous remedies and lotions including steroidal cream but nothing seemed to help. Within a few short weeks of using the soap and balm my skin completely cleared up with no recurrence of the itching or blisters. The products are nice to use too, very soothing with no harsh ingredients. Our Deep Cleanser Therapy Bar, known as the Detox Soap is, therefore, a completely natural and chemical-free alternative to such soaps. It is a hand-processed alternative that is produced in cold batches to seal in all of Glycerine’s qualities. As in all our rage, we used Sapropel in our Deep Cleanser Therapy Bar, a rare lake sediment, to ensure the cream can naturally yet effectively hydrate the skin and alleviate conditions such as eczema, psoriasis, dermatitis and dry, cracked skin. Sapropel draws out impurities of the skin, approaches the root cause of problematic skin conditions and produces healthy new cells to begin the repairing process. It is a source of vitamins and fulvic and humic acids that boost the skin’s immunity and promote cell regeneration. The Syrinx Za Deep Cleanser Therapy Bar also contains a variety of natural ingredients that work both individually and together to give your skin the best results possible. These include Olive Oil, Castor Oil, Coconut Oil, Turmeric and Beeswax, all of which have strong abilities in locking moisture into the skin, healing with antiseptic and producing a rich, aromatic lather. These ingredients alongside Sapropel can bring a new life to all types of dry and sensitive skin. Unlike other soaps, the Deep Cleanser Therapy Bar does not dry out the skin after use – in fact, quite the opposite! It also comes with no risk of aggravating sores and without any need to scrub the skin. F ollow this treatment by working the Derma Protector firmly into the affected skin. Either of these treatments can be applied throughout the day, as many times as needed, but should be used both morning and night as a minimum. 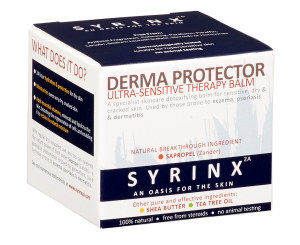 Protect and replenish your skin with our new 100% natural Derma Protector. This ultra-sensitive balm aims to detoxify, moisturise and soothe dry, cracked and problematic skin, particularly the feet and heels. Indulge in a moment of luxury with its natural calming and nourishing properties. Many traditional balms may contain artificial colours and alcohol additives, which can exacerbate the skin’s problem rather than help it. Chemically-based products may cause irritation, redness and rashes and actually leave your skin worse off than it was to begin with. 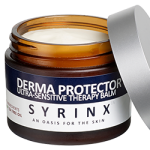 The Derma Protector is able to reduce inflammation and redness and act as a natural, long term treatment for even deeply cracked skin. Our Derma Protector is a completely natural and chemical-free alternative to traditional steroid or petro-chemical based treatments. Using our breakthrough ingredient Sapropel, a vitamin-rich glacial lake sediment, ensures the balm can naturally yet effectively hydrate the skin. Sapropel is clinically proven to be suitable for conditions such as eczema, psoriasis, dermatitis and dry, cracked skin. Sapropel deeply cleanses and draws out toxins and impurities, leaving the fulvic and humic acids to boost the skin’s own immune system and cell regeneration. 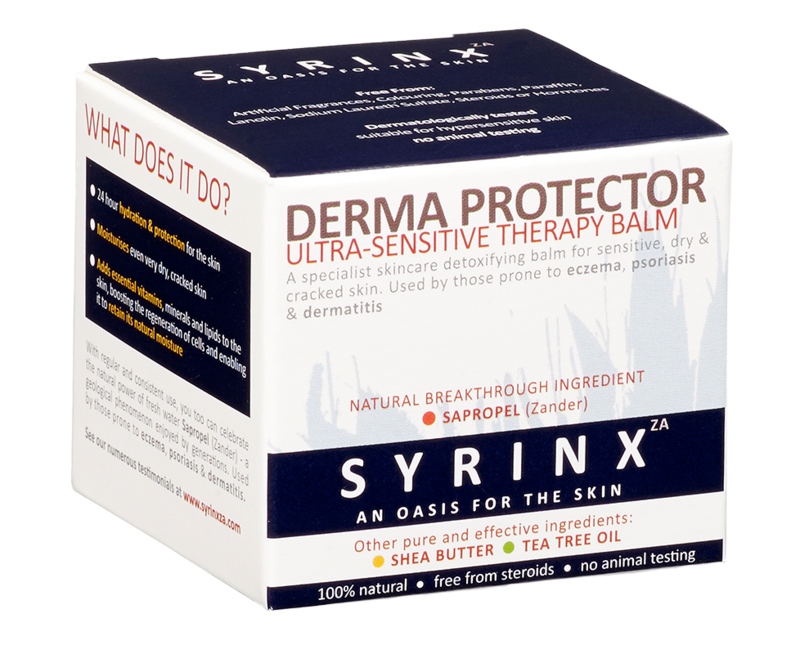 The Syrinx Za Derma Protector also contains a variety of natural ingredients that work both individually and together to give your skin the best possible results. These include hydrating Shea Butter and Kalahari Melon Oils as well as Tea Tree Oil, a natural disinfectant that is also renowned for treating warts and blemishes. These ingredients alongside Sapropel can bring a new life to all types of dry and sensitive skin. 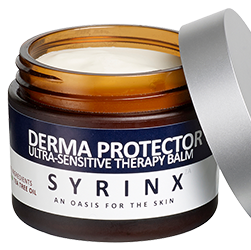 Not only is the Derma Protector highly effective in treating skin conditions, it is also the ideal balm for simply pampering your skin with. Its soft and deeply penetrating soothing qualities have a nourishing, relaxing effect when applied to the skin, so you can also enjoy the balm just as you would with any premium, cosmetic moisturiser. W hether you’re taking good care of healthy skin or treating sensitive areas, you’ll soon enjoy a clearer, softer and smoother skin all over. 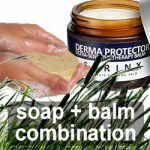 Use the Derma Protector every time you step out the bath or shower and bask in your skin’s new glow as the balm rehydrates every pore, particularly the areas that are most prone to cracking or dryness. Naturally, everyone’s skin reacts to different treatments in different ways. 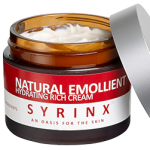 For some people, this product will offer a complete skincare treatment – but you might benefit from adding other Syrinx Za products to your skincare routine. All our products contain essential oils and other natural ingredients to help care for your skin in the gentlest yet most effective way possible. 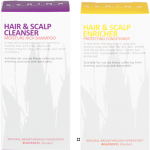 None of our products contain any harmful properties, parabens nor steroids. 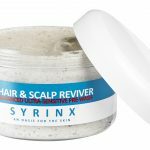 We pride ourselves on the ingredients we use so we have provided you with an ingredient list so you can learn all about what goes into Syrinx Za’s products. Sapropel: A vitamin and mineral rich 15,000 year old glacial lake mud, able to detoxify the skin draw out impurities and boost the skin’s own immune system. Shea Butter: Hydrates and heals skin conditions, eases inflammation and has an array of other benefits such as protection from UV rays, improvement of skin elasticity and prevents scarring to damaged skin. Kalahari Melon Seed Oil: moisturising, regenerating oil that can contribute to the integrity of the cell wall and overall suppleness of the skin. Tea Tree Oil: Contains anti-bacterial, anti-fungal and anti-viral properties that can relieve skin conditions and stimulate the skin’s own immune system. * Reed Mud, Sapropel: A vitamin and mineral rich 15,000 year old glacial lake mud, able to detoxify the skin, draw out impurities and boost the skin’s own immune system. * Turmeric: a spice used in soaps to provide anti-bacterial and anti-fungal properties. * Sodium Olivate: An olive oil formulated through the hydrolyzation of Coconut Oil in the presence of sodium to produce the Therapy Bar. It is very effective in deeply cleansing the skin. * Castor Oil: Extremely useful in removing any dirt or harmful bacteria clogging up the pores, keeping the affected areas clean, clear and completely detoxified. * Beeswax Maintains soap hardness and imparts a texture that contributes towards the originality of the soap. It protects the skin from ultraviolet lights and has anti-inflammatory and anti-bacterial properties. * Aqua: Pure, deionized water is used to avoid any unwanted precipitates such as limescale, meaning irritation of sensitive skin is reduced. * Sodium Cocoate: The mixture of fatty acid salts that are formed when coconut oil and sodium hydroxide are combined. 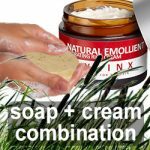 It is a surfactant and emulsifying agent that is an essential ingredient for all effective soaps. * Shea Butter: Hydrates and heals skin conditions, eases inflammation and has an array of other benefits such as protection from UV rays, improvement of skin elasticity and prevents scarring to damaged skin. * Kalahari Melon Seed Oil: moisturising, regenerating oil that can contribute to the integrity of the cell wall and overall suppleness of the skin. * Tea Tree Oil: Contains anti-bacterial, anti-fungal and anti-viral properties that can relieve skin conditions and stimulate the skin’s own immune system. Amazing for cracked feet, my feet use to be really dry and looked like athletes feet syndrome, all peeling with the heels and between the toes all cracked. 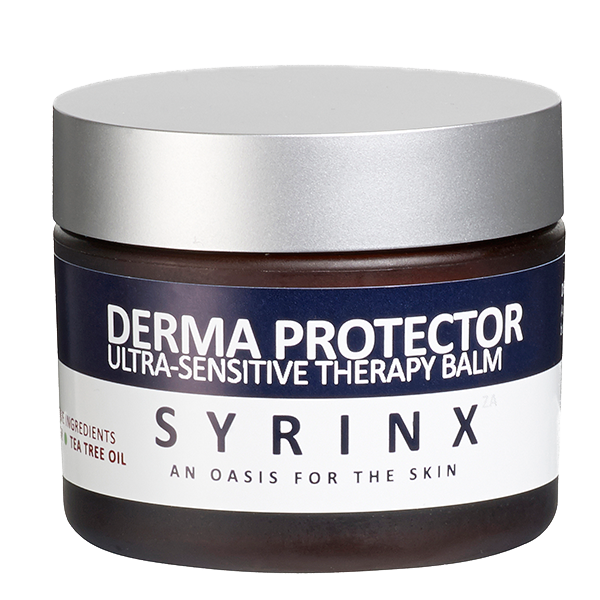 I have been using the Syrinxza products and have found that the issue i had with the skin on my feet has gone, and i had this issue for 30 years. 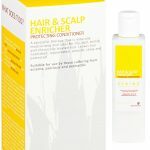 I had tried lots of other products and none of them worked on a long term basis. 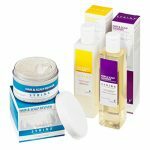 Im delighted to recommend these products as i have happy feet now! Enjoy 10% OFF Your First Order NOW! Receive 10% Discount Off Your 1st Order Today! Your data is protected and not shared with 3rd parties. Offer available for first-time subscribers only. Excludes products on special promotion. Terms & conditions apply.